The reason why our church exists is Jesus Christ. He is God’s great gift to a world that has turned away from him. His birth, life, death and resurrection give a clear sign that God has not given up on his world, but still loves us and wants us back. A Christian is someone who has accepted Jesus’ invitation to turn back to God through him. Jesus’ promise of “rest for our souls” is given to every Christian. The most important event in Jesus’ life is his death on the Cross, because it was in this way that he turned God’s anger away from those who trust in him. He saved us from our sins, so that we could have the sure hope of eternal life. At St Jude’s, the death of Christ is kept central to our worship as we regularly share together in the Lord’s Supper. Far from being a vague feeling, faith has a definite content. Indeed, it was Jude himself who wrote of “the faith once for all delivered to the saints” (Jude 3). The classic formulation of the faith is found in the doctrinal statement of the Anglican Church, known as the Thirty-Nine Articles. God’s church is his people, the gathering of those who have turned to his Son Jesus Christ. This means that in the truest sense, our church is the people of St Jude’s, not our building. The Apostle Peter writes of Christian people as “living stones” being built into a spiritual house for God (1 Peter 2:5). Still, we also have a beautiful and historic church building to gather in. While the parish dates back to 1858, the current building was dedicated in 1865. The parish’s history is entertainingly told in Ron Ringer’s Summoned by Bells, a carefully researched book produced for our 150th anniversary in 2015. The obvious photogenic qualities of our site have led to it occasionally serving as a film location. The 1997 film Oscar and Lucinda included a scene filmed in St Judes’ rectory. In 2017, several episodes of the Channel 9 drama Love Child were filmed in our church, rectory, grounds and graveyard. In another link with popular culture, Paul Kelly recorded a song Randwick Bells, about hearing our bell tower heralding a wedding early on a Saturday morning. Our logo is a boat. Most likely this originates from the ancient association of St Jude with images of boats. However, a little boat, tossed on a stormy sea, was also seen as illustrating the situation of Christ’s church, ferrying the elect through the ravages of this world. We take comfort that Jesus proved his power over the wind and waves when he calmed the storm on Lake Galilee, and by that same power he will guide us, his people, to the safe haven of God’s eternal kingdom. The boat image used as our logo is a photo of the mosaic at the entrance to our church. This in turn was modelled on a boat image found in a window of our sister church, St John Randwick, Gloucestershire. Even after following Jesus for most of my life, I still have a sense of surprise and wonder that God chose to take hold of me and make me his son and servant. It is a privilege to lead God’s people at St Jude’s, and to reach out to the community with his love. I grew up in the suburbs of Sydney and worked as a lawyer for five years before training for Christian ministry at Moore College. After eight years in the parish of Springwood, our family moved to Randwick in late 2016. If the long stays of many previous rectors are anything to go by, we may be here a very long time! God has blessed my wife Kathryn and me with three amazing children, Caleb, Isabel and Hannah. I enjoy singing, reading, running, following cricket, and (like many Anglican ministers) good coffee. 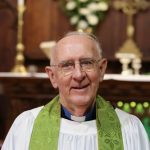 I was ordained in 1963 and served as Curate at Killara and Neutral Bay. I was appointed Rector of Denham Court with Rossmore which managed five churches and seven centres. In 1976 I was appointed Rector of Holy Trinity Church Kingsford where I continued until 2003. Continuing my faithful journey, I then officiated as Locum at St John’s Ashfield. Three years later I was welcomed at St Jude’s as Assistant Minister. Besides my role in Sunday services, my ministry includes pastoral care to our regular parishioners and extends to follow-ups of those who are absent from regular Sunday worship. Nursing home and hospital visits are also on my agenda. I have been married to Helen for 51 years. We have three children and eight grandchildren. I enjoy reading, and walking along the beach every morning. I am very grateful to God for his goodness and loving kindness. I’m married to Emma and we have a son Levi (born 2017) who keeps us amused, delighted and a little bit sleep-deprived. After studying finance, I served at my home church in the Blue Mountains as a ministry apprentice, before studying at Moore Theological College. 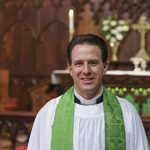 I was ordained a deacon in February 2018. I began at St Jude’s in January 2018. My role involves working with children, youth and young adults. I am passionate about disciple-making (Matthew 28:16-20), every member ministry (Ephesians 4:11-13), and seeing everyone presented fully mature in Christ (Colossians 1:28). My hope and prayer is that the lives of many young people in Randwick will be transformed by the magnificent gospel of the Lord Jesus Christ to the glory of God the Father. In my spare time I enjoy cycling (road and off-road), basketball, and collecting and playing musical instruments. I’m thankful for being introduced to Jesus at a young age by my parents, and for God’s grace in adopting me as his child and sustaining my faith each day. 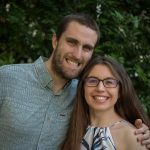 After completing a Bachelor of Primary Education at the University of Sydney, I took up a ministry apprenticeship with the Christian group on campus (the Evangelical Union), which had played a formative role in growing my faith as a student. My training for ministry continued at Moore Theological College, where I finished in 2018. 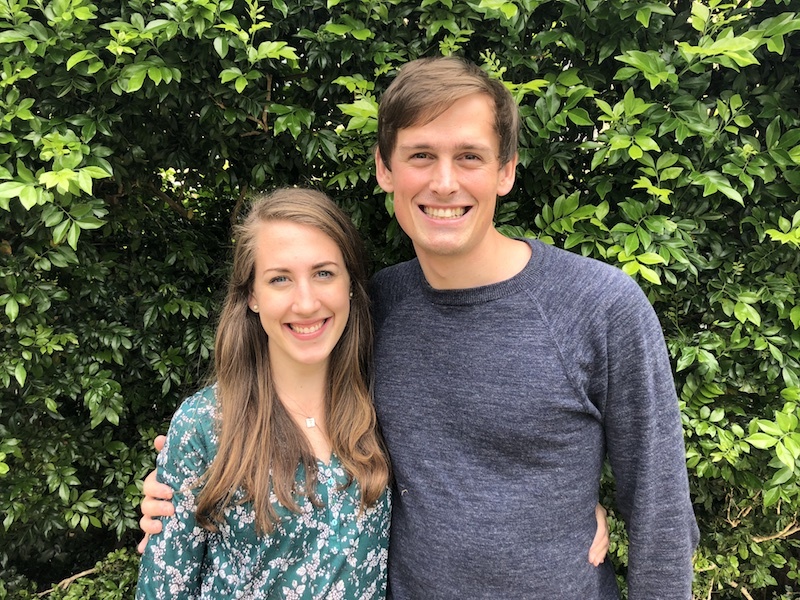 With my husband Nigel, who is currently studying at Moore, I joined the St Jude’s family in January 2019 with a particular focus on discipleship and outreach to women and families. I am excited about the many opportunities to meet people in the community and share with them the wonderful hope Jesus offers the world. To relax and recharge I enjoy being in or near water, spending time with family and friends, playing netball and trying out new spots for brunch.